Israeli soldiers kidnaped, on Wednesday at dawn, at least nine Palestinians, in different parts of the occupied West Bank, during extensive military invasions and searches of homes, and property. The army also carried out a limited invasion into northern Gaza.Several military vehicles invaded Beit Fajjar town, south of Bethlehem, and kidnapped three young men, identified as Amer Mohammad Taqatqa, 24, Mohammad Jalal Taqatqa, 20, and Mohammad Salem Thawabta, 28. 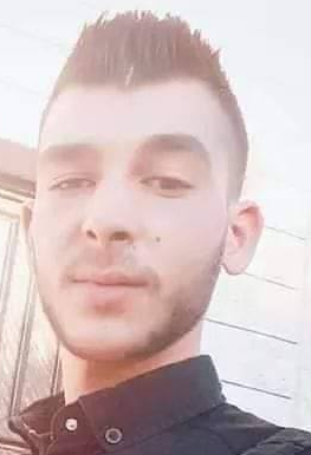 The soldiers also invaded Barta’a town, isolated behind the Annexation Wall southwest of Jerusalem, searched many homes and kidnapped three Palestinians, identified as ‘Ameed Tareq Qabaha, 18, Rida Ahmad Tawfiq Qabaha, 19, and Mansour Abdullah Mas’oud, 23. In addition, several military vehicles invaded Atteel town, north of the northern West Bank city of Tulkarem, searched homes and kidnapped a young man, identified as Mohammad Shaher Rezqallah, 36. In the central West Bank district of Ramallah, the soldiers invaded and searched homes in Beit Rima town, north of Ramallah city, and kidnapped a Palestinian teen, identified as Bassel Hazem Rimawi, 18, a former political prisoner who was released less than four months ago, after being held for six months under arbitrary Administrative Detention, without charges. On Tuesday at night, the soldiers invaded Ya’bad town, west of the northern West Bank city of Jenin, after firing many flares and live rounds, and stormed his home. He added that the soldiers detained his sons Laith, 15, and Ya’ish, 17, outside of the family home for several hours, and interrogated them. The family has been subject to frequent invasions and violations by the army; the soldiers also repeatedly occupied their rooftop and used it as a military post and monitoring tower. In related news, several armored military vehicles, including tanks, carried out a limited invasion into Palestinian lands, in the northern part of the Gaza Strip, and fired live rounds.